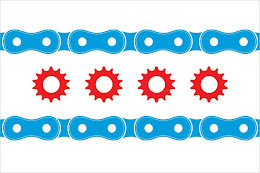 As a new resident to Evanston and an Illinois Bicycle Attorney, the issue of bicycling in Evanston is one that I consider each and every day. The Evanston Review published this excellent article debating the accessibility of Evanston and how conducive it is to bicycling. In my opinion Evanston, on the whole, does a very good job for a city its size. But when you take into account Evanston's mega-neighbor in Chicago and its interconnected bike lanes and overall bike plan, its easy to wonder why Evanston doesn't do more. Especially given Evanston's reputation for being a progressive city. Evanston's recent installation of the bike lane on Central Street is certainly a step in the right direct. 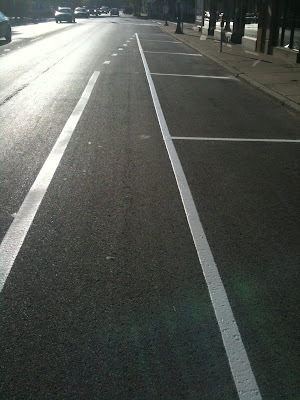 But there is a lot more that could be done in terms of marking roadways in downtown Evanston and, as the article mentions, in executing a great overall system of connections to Chicago. Evanston also needs to take into consideration the number of bicyclists from Northwestern and who commute by bicycle. Unfortunately, the story about Carlos Saldana and how he was a victim of a "dooring" are frequent occurrences. The vast majority of the responsibility of incidents like this are on the motorist who negligently opened their door into Carlos Saldana, but a very small portion is with the City of Evanston and the set up on Asbury Street where this incident occurred. I'm left to wonder, "If there was a bike lane there, would Carlos have ever gotten hurt?" My conclusion is that he probably wouldn't. Here's why: Bike lanes serve to define a space for bicyclists and also to act as a visual cue to motorists that bicyclists may be present. The presence of bike lanes, therefore, alerts the motorists to the possibility of bike lanes and they become a little more conscientious when opening their car door into traffic. By no means do I think this is a panacea for auto vs. bike collisions, but given how little bike lanes cost to install, I think the math is pretty easy.